If ice cream is your kind of thing then Sorbetto is a dream worth living. Serving ice cream, sorbet, traditional ice cream, desserts, churros and hot drinks and snacks, this fully air conditioned ice cream parlour is a firm favourite with locals and visitors alike. 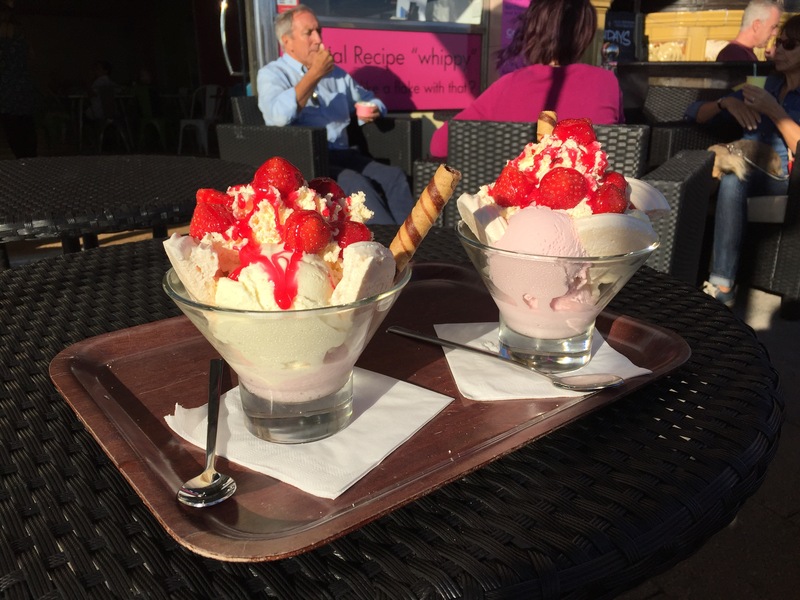 Within walking distance to the sandy beach of Ramsgate, you’ll be mad to go for a standard Mr Whippy or a 99′ and should consider splashing a few extra coins and dive into a tasty treat instead. Open 7 days a week 11-5.30pm, this ice cream parlour has stood proudly on the harbour for over 70 years now, nestled in between the local pubs, bars and cafes with a gorgeous view of the Royal Harbour. They’ve kept the tradition of Pelosi’s, the previous owners who ran the traditional ice cream parlour before the current owners took over in 2014. They have a range of delicious flavours on offer including the traditional chocolate, strawberry and vanilla, but if adventure is your game, tickle your tastebuds with their rum and raisin, Ferrero Rocher, bubblegum and coffee. If ice cream is not your thing, instead more of a firm favourite to keep the little ones happy, there are a selection of hot drinks on offer too. Prices vary from £1-£2 for a Whippy ice cream, £4-£6 for a sundae, Knickerbocker glory or £10 for a millionaire’s sundae. They’re on Facebook and most of their 32 reviews are 5*. They kick the likes of Ben & Jerry’s and Häagen-Dazs in the balls with their traditional and fabulous creamy flavours. I came in here with a friend last Thursday, it was hot and both of us being pregnant, we needed something to cool us down whilst our growing bellies danced away. We both opted for the gorgeous Eton Mess Sundae which was both a treat and an absolute delight. For £4.90 we got scoops of deliciously creamy vanilla and very berry strawberry coated in fresh strawberries, chunks of meringue and coated in strawberry sauce and lashings of whipped cream. It was divine and made two 7 month pregnant ladies happy. If you’re thinking of making a visit to Ramsgate, make sure you pop into Sorbetto if you have a chance. The place is all about ice cream, so don’t expect a big fancy Americanised indoor ice cream parlour, ice cream is what makes this place a memorable winner and those views are fab too.